Agrosuper works in production, livestock, distribution, and commercialization of chicken, pork, turkey, salmon, and processed products. Beef, pork and chicken finger foods. Barfresh, the leader in ready-to-blend frozen beverages, manufactures and distributes whirl class blended smoothies, shakes, and frappes in a way that has transformed the blended beverage industry. Frozen bread, rolls, cinnamon rolls, bread sticks, baked biscuits & microwave sandwiches. Baked beans, canned vegetables, southern vegetables, spinach, greens, hominy and sauerkraut. Pork & chicken BBQ, and chili. Cholula's Flavorful Fire finds its roots in a well-guarded recipe that's over 100 years old. This recipe blends pequin peppers, red peppers and spices in a delicate process that produces a perfect balance between flavor and heat. Chilled juices, frozen concentrates, shelf-stable aseptic, and frozen single-serve portions. Yogurt & Cream Cheese, Cultured Cream Cheese, Cream Cheese, Flavored Cream Cheese Dips and Spreads, Baker's Cheese, Mascarpone and Organic Cream Cheese. A full line of specialized food products for the healthcare industry. Manufacturer of dehydrated potato products. John Soules Foods provides great tasting beef and chicken through retail sales, foodservice distributors, restaurants, and school nutrition programs. For more than 160 years, Lesaffre has been the world leader in manufacturing premium quality yeast and yeast derivatives. Our Human Care division focuses exclusively on marketing yeast products that advance human health by nature of their overall nutritional value or condition-specific health benefits. Portion controlled salmon, swordfish, tuna, halibut, mahi and crab. Par-boiled, seasoned and long grain rice. 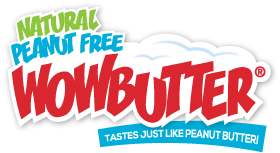 Shearer's Snacks is an award-winning snack food manufacturer and distributor and is now a leading contract manufacturer and private label supplier for the snack industries in North America, Australia, Asia, and Central and South America. Processor of yogurt, cottage cheese, sour cream, dips, cream, milk and other fine dairy products. Agrosuper is the first producer of animal protein in Chile with a strong presence in the international market. We work in production, livestock, distribution, and commercialization of chicken, pork, turkey, salmon, and processed products. Our mission is to provide our clients and consumers with first class products and services, always guaranteeing their freshness and safety. We anticipate the needs of the market. Our philosophy is Think global, act local. That is why we have offices and local executives in North America, Europe, and Asia who can detect tendencies and provide solutions to the specific needs of our different clients. Agrosuper is proud to have more than 16,000 workers and 10,000 external collaborators. This makes us a driving force in Chile's development. Each day, we are invited at the tables of thousands of Chileans who trust in our quality and taste. We export to more than 60 countries and have offices in Brazil, Mexico, USA, Italy, China, and Japan. B&D Foods, an Idaho fixture since the late 1960's, was one of the first companies to develop a method of producing finger steaks in sufficient quantity to supply local restaurants and grocery stores. Our friendly employees use a proprietary batter formula that has been handed down several generations and we still monitor the process with boundless care. Demand for chicken, pork and specialty items has gradually expanded our offering to over 23 tasty products. Today, we have successfully introduced our delicious strips and bites throughout the United States, with sales stretching from small diners to national grocery chain delis. But our mission is still the same-to provide you with unparalleled products and superior service, with each and every order. Barfresh, the leader in ready-to-blend frozen beverages, manufactures and distributes whirl class blended smoothies, shakes, and frappes in a way that has transformed the blended beverage industry. In 2005, Founder and CEO Riccardo Delle Coste recognized an exploding interest in the "better for you" beverage segment, so he created Barfresh. Since 2009, frozen beverages have been the fastest growing category, a $25 billion industry, with smoothies representing one of the highest gross profit margins. Today, as consumer demand increases for healthier alternatives, two major problems arise for restaurants and foodservice operators that want to serve blended beverages - labor costs and product waste both make it all but impossible for this booming category to be profitable. The company's proprietary, patented system uses portion-controlled pre-packaged beverage ingredients that deliver freshly made frozen beverages that are quick, cost efficient, better for you, and without waste. 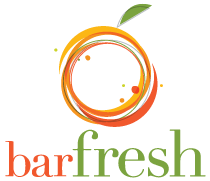 Barfresh beverages contain real fruit, low fat frozen yogurt or sorbet, fruit juice, and even the ice, rivaling any juice bar. Barfresh blended beverages are cost efficient with low capital cost for the operator and leave zero waste. With just a blender, Barfresh beverages deliver a great tasting, perfectly portioned, and freshly blended beverage that has no artificial flavors or colors. Headquartered in Beverly Hills, California, Barfresh has nationwide distribution in thousands of restaurants from coast to coast including full-service, fast-casual, fast food restaurants, hospitals, hotels, amusement Parks, colleges and universities, golf courses, health clubs, and casinos. Bridgford Foods Corporation traces its roots back almost 75 years to February 1932, when Hugh H. Bridgford (1908-1992) opened a retail meat market in San Diego, California. The business evolved first into several retail meat markets, then meat wholesaling to hotels and restaurants, frozen food distribution, meat packing, and frozen food manufacturing. 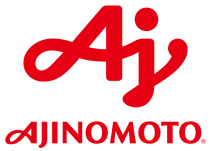 The Company is now headquartered in Anaheim, California about four miles from Disneyland. In addition to processing operations in Anaheim the Company has four additional factories, two in Dallas, Texas, one in Chicago, Illinois, and our newest factory in Statesville, North Carolina. The Company's principal products include frozen bread dough products for both the food service and retail food industries, sliced lunch meats and sandwiches for retail markets in the Southwestern U.S, shelf-stable dry and semi-dry sausage products for both retail and food service establishments, an assortment of frozen Micro-Ready sandwiches, a new line of shelf-stable sandwiches, and heat and serve monkey breads. Bush Brothers & Company was founded more than 90 years ago. Bush prides itself on the quality and convenient products they offer you and your customers. Just eight years into the 20th century, Henry Ford develops the first Model T automobile and the Chicago Cubs win their first and only World Series of the century. A.J. (Andrew Jackson) Bush, along with his oldest sons Fred and Claude, start Bush Brothers & Company as a tomato cannery. In 1928, Bush acquired it's second food processing plant in Oak Grove, Tennessee. In 1944, Bush purchases the Blytheville Canning Company in Blytheville, Arkansas. In 1948, The Bush's Best Brand is developed. As time has gone on, the Bush product line has grown. Bush is famous for baked beans, but also takes care of your customers by offering more than 40 other quality products for you to enjoy. From Chili Magic Chili Starter to blackeye peas, Bush makes a variety of delicious products. Visit www.grilledandlonely.com for baked bean side dish ideas and applications. We are Chandler Foods, the family owned and operated food wholesaler whose name means quality and consistency. We use only the finest ingredients to create superior products. Because we operate efficiently, we can offer the best at a great value. We treat everyone like family creating successful relationships that outlast others in our industry. And above all, we combine honesty and integrity in every batch. You can taste the hard work in every bite, again and again. The Cholula difference is all in its exclusive blend of piquin and arbol peppers, ground into a delicate pepper paste then combined with signature seasonings and natural ingredients. The result is a flavorful hot sauce with a balanced heat for which it is fondly referred to as "The Flavorful Fire". Cholula amazingly enhances the flavor in a broad range of all your favorite foods - from eggs, omelets and hash browns to soups, dips, sauces, pizza, appetizers, entrees, and Bloody Marys (or Bloody Marias!) and even popcorn! Cholula's finely balanced heat makes your favorite foods more festive without masking the food's flavor. Ducktrap River Fish Farm began as a trout farm in 1978 with two employees. We raised trout for the local restaurant table market. By early 1980, Ducktrap River® started experimenting with smoking seafoods using traditional European methods but with all natural ingredients and a distinctly American taste. Over the next five years a line of smoked seafoods was developed, some of which were original to the food industry. Since that time, Ducktrap River has grown into a leading processor of smoked seafoods. Ducktrap now employs over 145 people. The substantial growth and success is due largely to the care and efforts of our employees. We now sell a complete line of value-added smoked seafoods. All of our more than four dozen smoked seafoods are produced with the highest standards of quality and no artificial ingredients. Our customer base is made up primarily of wholesale seafood and food distributors, retail chain and single stores, restaurants and hotels. In addition, we have an active mail order department that ships to customers throughout the U.S.
We strongly believe in environmental stewardship, and this is reflected in every decision, from the sustainability of seafood stocks we purchase, to energy conservation measures implemented in our plant, to how our packaging materials can be recycled. Ducktrap River is focused on pursuing its goal of being a leader in value-added smoked seafood processing while maintaining a strict adherence to the highest standards of quality, service, and value. Foods of new Mexico is a prepared food production company founded in 1987 that produces ready to eat New Mexican food items both for retail and food service. Nestled in Enosburg Falls, Vermont, the state's dairy capital, Franklin Foods began producing cheese in 1899 using fresh milk and cream from nearby farms. We continue the tradition today, supplying retail, food service and club store customers throughout the country with Yogurt & Cream Cheese, Cultured Cream Cheese, Cream Cheese, Flavored Cream Cheese Dips and Spreads, Baker's Cheese, Mascarpone and Organic Cream Cheese. Franklin Foods’ heritage is based in the foodservice, institutional and industrial markets. Since 1899 we’ve been supplying the baking and food service industries our trusted Hahn’s Brand Cream Cheese and Baker’s Cheese. Today, Franklin Foods is the fourth-largest cream cheese manufacturer/marketer in the United States and is at the forefront of cultured dairy products innovation. The trusted Hahn’s brand has been expanded and now includes Hahn’s Cultured Cream Cheese in a variety of sizes from 1 oz. to 30 Lb, and Hahn’s Neufchatel Cheese which has 1/3 Less Fat than Cream Cheese. In addition, we also offer Mascarpone, Cultured Cream Cheese under our Lombardi’s Italian Classics ™ brand, as well as Flavored Cream Cheese tubs and portion packs under our All Season’s Kitchen ¨ brand. We are proud to introduce our newest innovation, Hahn’s Yogurt & Cream Cheese, to our Food Service customers. The award-winning and patented approved Hahn’s Yogurt & Cream Cheese combines 100% cream cheese with real non-fat yogurt. The results are a taste sensation that is naturally lower in calories, fat, cholesterol, and sodium than regular cream cheese. Plus live and active cultures to help boost immunity and promote digestive wellness. Hahn’s Yogurt & Cream Cheese is available in convenient 1 oz. portions and 5 Lb. tubs. HORMEL HealthLabs, a subsidiary of Hormel Foods. Hormel HealthLabs is proud to offer a full line of specialized food products for the healthcare industry. We are committed to providing great-tasting, innovative foods for individuals with special dietary needs. We continue to expand our product line to offer the most extensive group of products for individuals with swallowing disorders, also known as dysphagia. Our products have provided enormous health benefits to people with dysphagia, which may be associated with stroke, heart disease, AIDS, multiple sclerosis, and many other illnesses. We also have products designed to care for malnourishment, bowel management, diabetes, and other dietary needs. Since 1987 Idaho Pacific has specialized in the manufacture of dehydrated potato products for use as ingredients in the industrial food and baking industries and a full line of dehydrated potato products for the foodservice industry. The Company's headquarters and first manufacturing facility are located in Ririe, Idaho. The Ririe, Idaho facility manufactures dehydrated potato flakes, potato flours and potato granules. In 2000 the Company acquired AgraWest Food Ltd., a granule manufacturing facility in Prince Edward Island, Canada. AgraWest Foods is considered to be the most modern granule operation in North America. In 2002 a third manufacturing facility was added with the acquisition of a potato flake operation in Center, Colorado. With the three manufacturing facilities strategically located in key potato producing areas in North America, Idaho Pacific and AgraWest Foods are positioned to service our customers from multiple locations with the highest quality products. In 1976, SAF-Instant® Yeast was first introduced to the US and Canada. The product was manufactured in France and shipped to the United States. After the initial introduction it was realized that the product, and the market, needed a baker's perspective. Therefore, the field sales and technical team evolved, over time and through attrition, into a group with many years of experience in all aspects of the baking industry. This presentation by bakers to bakers continues today. The 1980's proved to be a great period of steady growth. In 1982, a conference was held to ask a cross-section of the baking industry what we could do to make SAF Yeast the all around best choice. Establishing these relationships and our outstanding technical team, placed SAF Yeast on the road to an even higher level of quality products and services. Key locations were established in Pennsylvania, Kentucky and California to support this growing yeast market. In 1986, to better serve the markets, one central office was established. SAF Products is still headquartered in the historic Grain Exchange Building in Minneapolis, Minnesota. First sold in 1916 from a hot dog stand at Coney Island, Nathan's Famous has become exactly what is name suggests - famous. Recognized as the #1 hot dog in New York City, Nathan's Famous has expanded its retail distribution to include the entire East Coast, and most of the Midwest and West. Currently, Nathan's Famous is present in more than 40 different states. Known for its "snappy" natural casing and supreme freshness, Nathan's Famous Beef Franks are enjoyed by some of the most devoted followers and brand loyal hot dog consumers. Nathan's Famous also offers skinless varieties of link sausage, cocktail franks, smokies, and franks as well as U.S.D.A. Choice corned beef. Enjoy a Nathan's Famous product today and experience what everyone else is already raving about. Here's where the quality starts - at the farms and ranches - with people who take pride in raising the highest quality cattle. 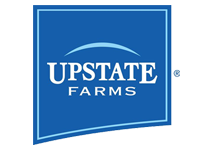 Our joint ownership between Farmland Industries and U.S. Premium Beef ensures both farmers and ranchers have a vested interest in breeding and raising quality cattle to provide you the best beef. This unique farm to table system allows us to track and identify cattle and carcasses through our supply chain. By analyzing this data we can continuously improve our beef to provide consistent, high quality products. You reap the rewards through increased customer loyalty as our beef consistently meets your customers' expectations. Farmland National Beef processes more than 2.6 million head of cattle a year and ships over 700 loads of beef a week to customers across the United States. We have increased our processing capacity over 50% since 1992. Today Farmland National Beef is the fourth largest beef processor in the United States where we supply nearly 10% of the beef. That means 1 out of every 10 steaks sold is from Farmland National Beef. Orca Bay Foods, Inc. is a frozen foods producer focused on one of the most consistently popular and growing food product categories, high quality seafoods. Orca Bay Foods is one of the largest producers-if not the largest producer-of plate-ready portion- controlled forms of the most popular Pacific and Alaskan seafoods. This offers foodservice operators and consumers the benefits of no waste and no additional preparation work. Products are available in foodservice bulk packs. Pacific Coast Producers is an agriculture cooperative located in the heart of California’s premier growing regions for Apricots, Peaches, Fruit Cocktail/Fruit Mix and Tomatoes. We have three stand-alone state of the art production facilities located in Lodi (Apricots and Peaches), Woodland (Tomatoes) and Oroville (Fruit Cocktail/Fruit Mix and Individual Fruit Bowls). 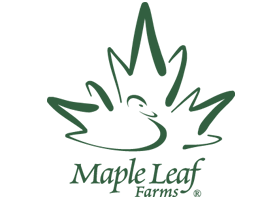 Our business specializes and concentrates in supplying proprietary brands. Our goal and mission statement is to provide our customers with superior quality and service under their private brand name. PCP is constantly redefining industry standards of quality control and customer service with a degree of customer satisfaction unmatched throughout the canning industry. We are market driven and structured to be responsive to the needs of our customers. Personally pleasing or crowd delighting meals need never be stressful again. John Soules Foods makes it easy to prepare and enjoy delicious beef or chicken. You may know us as the #1 seller of fajita meat. But we’re so much more! Keep meals interesting with our Certified Angus Beef® Strips, Rotisserie Chicken Breast Strips, Pulled Chicken, or a variety of breaded chicken choices. And all of our grilled and rotisserie products are gluten-free, yet flavor-full. Producers Rice Mill was born in 1943 as an idea in the minds of a group of distinguished farmers dedicated to the cause of improving the marketing returns of the members it served. With the purchase of Gibbs Harris Rice Dryer at Wynne, Arkansas, and the Pioneer Food facilities, Producers added locations in DeWitt, Eudora, Fair Oaks, Marianna, Pine Bluff, Wilmot, Wilson and Yellow Bend, Arkansas--increasing our size many times over. Today Producers is a full-line supplier of the finest quality rice available. From our central location in the heart of the Southern Rice Belt, Producers ships products across the country and around the world. Producers serves all major divisions of the rice industry--foodservice, retail, private label, export and industrial. As one of the largest private labelers in the country, Producers packs over 100 brands for major food chains and food distributors in the United States and abroad. From humble beginnings as a small family business in Northeast Ohio, Shearer's Snacks has expanded over four decades to become an award-winning snack food manufacturer and distributor. Shearer's Snacks is now a leading contract manufacturer and private label supplier for the snack industries in North America, Australia, Asia, and Central and South America. Headquartered in Massillon, Ohio, Shearer's Snacks has eleven GFSI compliant state-of-the-art and geographically diverse production facilities operating in Ohio, Texas, Arkansas, Oregon, Virginia, Iowa, Minnesota, Arizona, Pennsylvania, and Ontario, Canada including one of the industry's first platinum LEED certified food manufacturing facilities in Massillon, Ohio. Shearer's Snacks is known for producing the highest quality conventional, organic, gluten-free, non-GMO, and kosher salty snacks in assorted flavors and sizes including kettle cooked potato chips, traditional potato chips, tortilla chips, rice crisps, whole and multi grain chips, pretzels, popcorn, popped chips, baked chips, cheese curls, a variety of pellet based and extruded snacks, as well as a full line of premium, national brand equivalent, and value cookies, crackers, and wafers. Shearer's Snacks' brands include Delicious, Granny Goose, and Vista. A great-tasting tea that's better for the land, its people, and the environment? A lofty goal, yes. And one we're proud to have achieved. For the land: Our award-winning hot and iced teas are responsibly sourced from our own USDA-certified organic tea garden in Northern Bangladesh. At 3,000+ acres, we have one of the largest organic tea gardens in the world. We’re not just sustainable—we’re regenerative. By using only natural farming methods, we’re improving the soil and rejuvenating the land for future generations. The Mission of The Father’s Table is to bring family and friends together any time of the day with our desserts that are baked from scratch using only the finest ingredients. From the real sour cream, rich cream cheese, and sweet vanilla used in our New York Style Cheesecakes to the fresh Key West Key Lime Juice used in our Real Florida Key Lime Pies, our desserts are always baked perfectly for your family and friends. The Father's Table is a new company entering the School Food Service Market with Lil' Bites - the perfect bite size portions, and Wrap It Up! - Fresh Tacos. Another key Mission besides bringing family and friends together is to give back to our Associates, their families and women/children’s charities worldwide. That is why a percentage from every dessert sale is donated to The Father’s Table Foundation, which helps to fund women’s & children’s charity groups worldwide. So join us in “Sharing the Bounty of Life” with those in need. Our arrangement with the dairy industry is unique. We serve our manufacturing partners by assisting them in balancing production and inventories and in creating demand for their quality dairy products. By contracting with quality dairy producers for large block purchases, we are able to smooth production and allow plants to honor their milk contracts. We negotiate for a consistent supply at attractive prices. 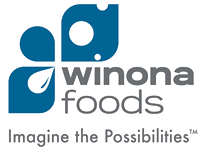 Winona Foods contracts with over 30 leading manufactures, with over 80 facilities, so we can get the cheese you need, not the cheese we have to sell. After we find the products you need, we have the expertise and facilities to package those products in nearly any size, shape, or container, with your label or ours. Our network of storage and distribution centers allows us to deliver product when you need it. With revenues in excess of $300 million, we provide products and services, through a national broker network, to Industrial and Food Service clients, as well as Restaurant and Retail customers. Let Winona Foods be your “one-stop-shop” for dairy products. In addition, we are a leader in dairy futures and price protection, forward warehousing, aging and storage, consolidated purchases, transportation and logistics. Our knowledgeable staff of licensed cheese makers can assist you in finding or making the cheese you need. Our research and development staff can assist you in engineering the food products you want.